Whilst we will need everything in the form below should you wish to book, its not always necessary to complete the form at outset. If you just want to check we are available or a guide price for your requirements, just give us a call. Please note - We do not pay commissions too nor inflate our prices, to accommodate the payment finders fee's to wedding planners or other third parties. Where Is The Photo Booth To Be Located? Message Or Additional Information - Text For Personalised Prints, Ceremony - Reception Times & Locations etc? Oaks Farm Barn Wedding Venue - A tranquil and beautiful wedding venue, with warm and friendly staff to help. Located just outside Croydon, it is close enough to all main transport links to be practical, yet surrounded with idyllic green space. 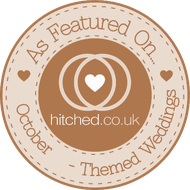 Hitched - If you are looking for a resource for all your wedding requirements?